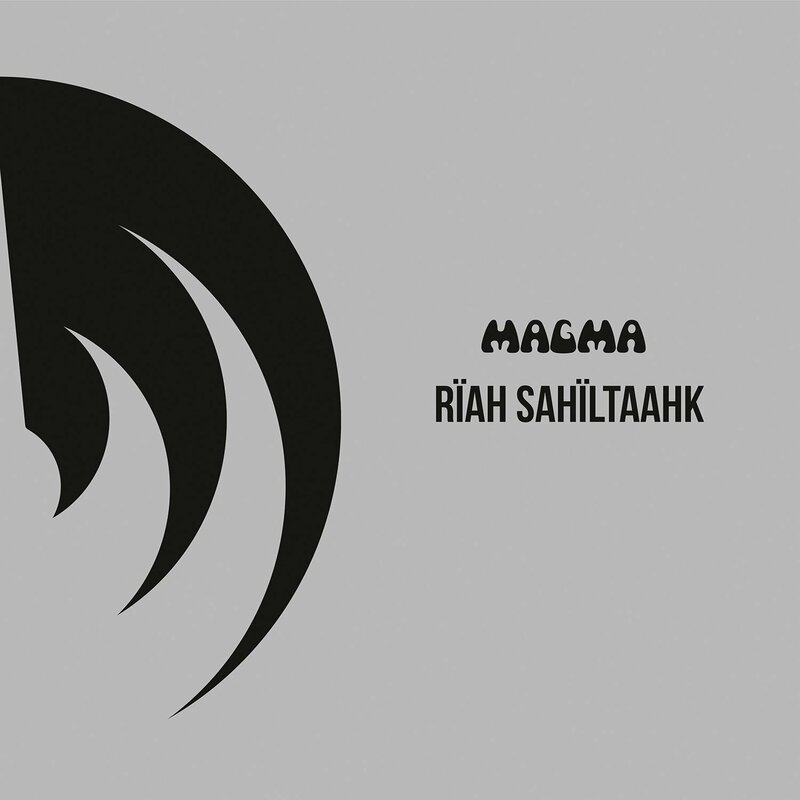 In its original version, “Rïah Sahïltaahk” was the sidelong cut that opened Magma’s second long player 1001° Centigrades way back in 1971. Magma’s first album, a sprawling and revolutionary double LP made quite an explosion on its arrival, and their third album Mëkanïk Dëstruktïw Kömmandöh with its main title suite spread out over two album sides seems to get more attention in retrospect, leaving their second album sadly and undeservedly overlooked. So after all these years, why was it necessary to revisit and re-record that epic length piece? Here, it exists as the lone track on a disc by itself, an EP if you will, at 24 minutes – a few minutes longer than the original version, in part due to a seemingly slightly slower tempo. Other than that, the differences are primarily in the instrumentation and the arrangements, the three-piece horn and woodwind section that graced the original now gone, replaced here by additional vocalists, and the addition of vibraphone on the new version. The additional vocalists naturally give this new rendition a more full and choral sound, which is a bit more like MDK and later works by the band, as opposed to the saxes and trumpets that gave the 1971 recording a more edgy and crisp sound. This new version is now indexed into eight distinct tracks, although they all still flow together into a continuum. One might suppose that when the current version of the band broke this piece out of mothballs for live performances (as seen on the DVD Mythes et Légendes, Epok V released in 2013) that the differences were significant enough to warrant a studio re-recording.